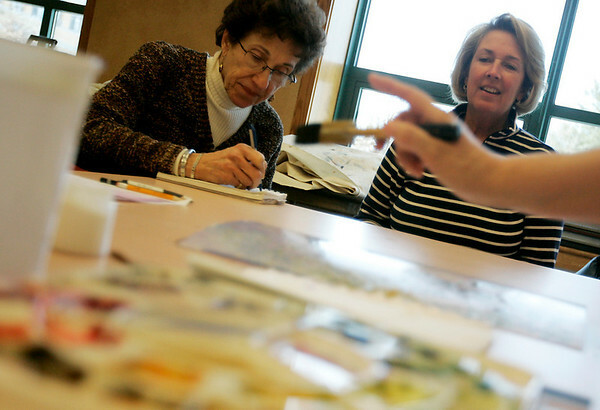 Peabody: From left, Janet Cohen of Peabody and Susan Purrell of Hamilton watch as Paula Kulas, a water color painter and teacher from Peabody, gives a lesson on water color painting at the Peter A. Torigian Community Life Center Thursday afternoon. The class just started a six week session on how to paint a snowy winter scene. Photo by Deborah Parker/Salem News Thursday, February 5, 2009.